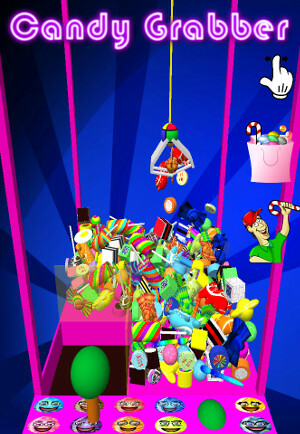 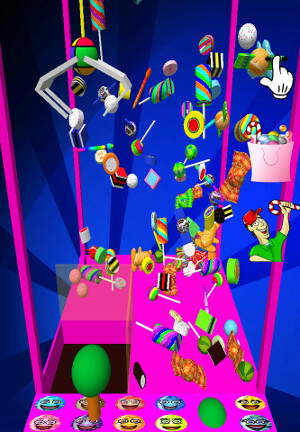 Use the joystick to move the claw, then hit the button to scoop up as many sweets as possible. 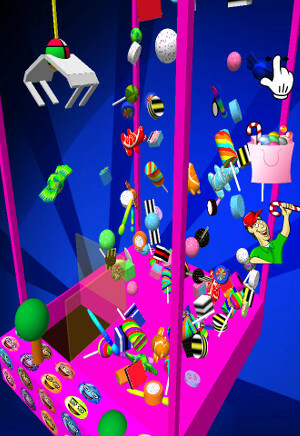 Its in 3D and uses real physics, its very easy though and you'll soon have a bag full of sweets, click on the candy bag to see all the confectionery you have collected. 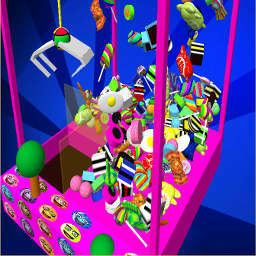 Its Calorie free and wont rot your teeth!